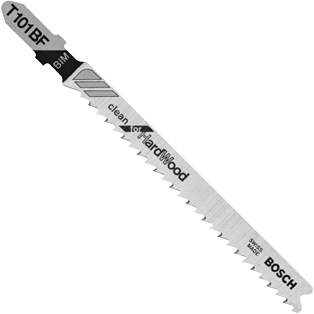 Bosch Clean for Hardwood blades produce exceptionally clean cuts. Bimetal construction for durability and long life. T-shank design for maximum grip and stability which fits 90% of all current jigsaw makes and models. Application Hard/soft woods, plastics, plywood, laminated particle board 3/16" - 1-1/4"